Still under construction. For now, we offer images of five dazzling red-eyed treefrog species from Central America, odds and ends and a fancy-pants Costa Rican and Panamanian toad. 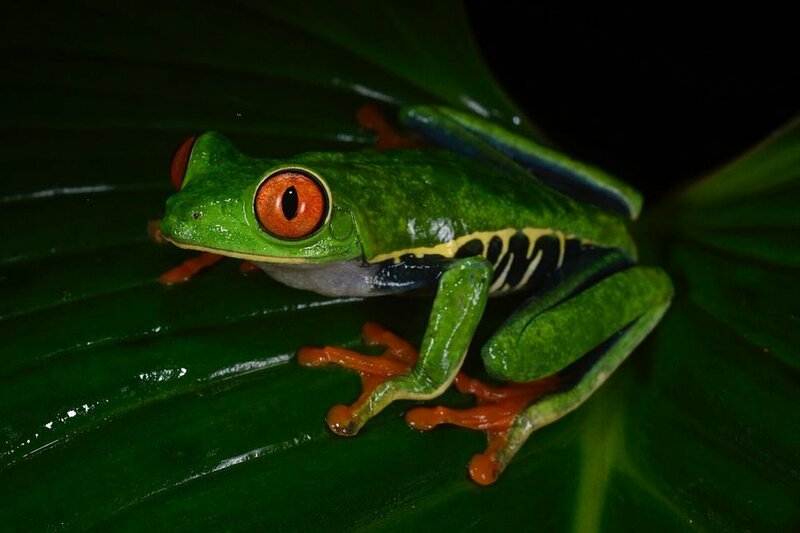 Red-eyed treefrog (Agalychnis callidryas), Limón Province, Costa Rica (Image: F. Muller). 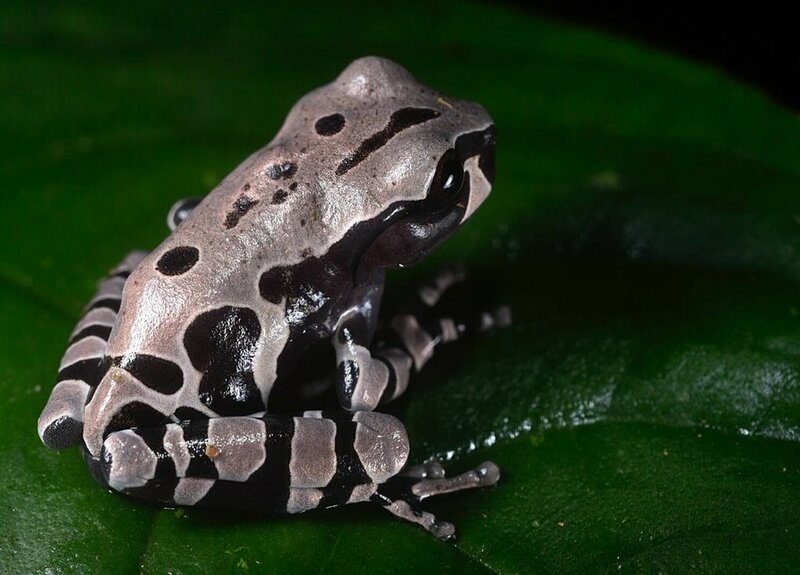 Juvenile spiny-headed treefrog (Anotheca spinosa), Limón province, Costa Rica (Image: F. Muller). Canal Zone tree frog (Hypsiboa rufitelus) feeling a bit “blue” (Image: F. Muller). NOID cloud forest robber frog (Craugaster sp. ), Puntarenas Province, Costa Rica (Image: F. Muller). Masked tree frog (Smilisca phaeota), Limón Province Costa Rica (Image: F. Muller). Plectrohyla exquisita, brown form, Atlantida Department, Honduras (Image: F. Muller). Black-eyed tree frog (Agalychnis moreletii), Honduras (Image: F. Muller). Isthmohyla sp., Chiriquí Province, Panamá (Image: F. Muller).